Life can never be the same after our Lord’s Resurrection from the dead. Life can’t be the same because humanity no longer has to live with any fear of death. The darkness and hopelessness of death has been defeated. Even the suffering and evil of fallen humanity has been overcome. Jesus of Nazareth tasted the greatest evil of humanity - rejection by His own people, betrayal by one of His closest friends, denial by His most intimate disciple, ridicule, torture, and the most inhumane death possible by the very people He loved. Jesus experienced it all! And then He overcame it. He ended up victorious!!! Who can ever say that our God does not understand whatever suffering, pain, struggles, and darkness that we may experience in our lives? Jesus Christ has been there, and stands with us in whatever struggles we face. He has passed through the worst that fallen humanity can offer, and then He comes out alive and victorious! Through His own travails, He reminds us that if we stay united with Him, our story is never over. In Christ, darkness shall never prevail! Pascha is primarily a feast of indescribable hope and joy! Never forget that Jesus always has the last say in our story, in our journey through life. That is why we should never allow anything that happens in life to make us forget about the Resurrection of Jesus from the dead. The Risen Christ offers each of us participation in a new life, in in a life emanating from His ultimate victory! Christ is Risen and love prevails! Christ is Risen and goodness conquers evil! Christ is Risen and light shines in the darkness! Christ is Risen and changes a story that seems to end in death! Christ is Risen from the tomb and gives new life to all who willingly accept it! Christ is Risen and life can never be the same! Christ is Risen! That is the hope that we Christians are called to live with each and every day. We live every day with the joy and hope and light of the Resurrection! And His Resurrection should not be an event that stands outside our own lives. It is the most consequential event in all of history, and thus should impact our lives each and every day! A dear friend of mine, Fr. Peter Gillquist, used to say, “Whenever I get down or depressed at what I see around the world, I open up the Bible and read the last two chapters of Revelation (the last book of the Bible).” When I first asked him why he does that, he reminded me “Because the last two chapters of Revelation end in victory! After all the chaos and darkness and evil you read about in the Apocalypse, Satan doesn’t prevail. Jesus wins! Christ ends up victorious. And He promises us that we, the faithful remnant, will be victorious with Him. What we celebrate every year at Pascha, is what we celebrate every Sunday (which is the Day of Resurrection), is what we are called to carry with us each and every day - the hope and light and joy of Jesus Christ’s victorious Resurrection! This is the indescribable joy at the center of our Orthodox Christian faith! The question for all of us, though, is whether we allow that divine joy to live in us. 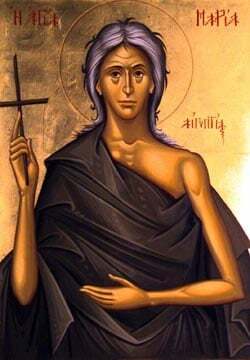 Will we indifferently sing “Christ is Risen” on Pascha night, as if it’s simply some quaint little tradition we have inherited from our forebearers, or will we truly believe and live the Paschal Good News - knowing that Christ is Truly Risen and has conquered death and all evil. That same Risen Lord want to live alive in each of us every day of our lives.